Dad's Breaking Bad and Won't Shower or Shave. What You Can Do? With a history of firsts, BrightStar Care Evanston and North-Suburban are proud to introduce what may (or may not be) the first semi-binge blog. Unlike Downtown Abbey or Breaking Bad, however, this series is only in two parts so binging is minimal. We did begin it as one blog, but soon realized that the topic of "stubbornness" also had to be discussed along with the issue that other, more serious things may be going on if parents are not being cooperative, like depression or Dementia. .
At BrightStar Care Evanston, we've written a lot about our special evidence-based treatment program for Dementia so please check that information out on our website. Part 1: "Investigating Stubbornness" or "Dad's Breaking Bad"
As you may have discovered, older parents may resist advice about their physical condition and personal hygiene (turn their nose up at it as it were). You may call them "stubborn," but with our years of in-home caring for older adults, we've learned at BrightStar Care Evanston that this is a multi-level issue. First, we should discuss actual research on "stubbornness" and then, in riveting Part 2, take a look at other clinical issues and, most importantly, recommended ways to deal with dads and moms who are happy to shower you with love, but not necessarily shower themselves. What Is Stubbornness All About? notes that resistance may occur as seniors fight to maintain independence and the life they had. He and his colleagues published the results online in Journals of Gerontology: Psychology Sciences. 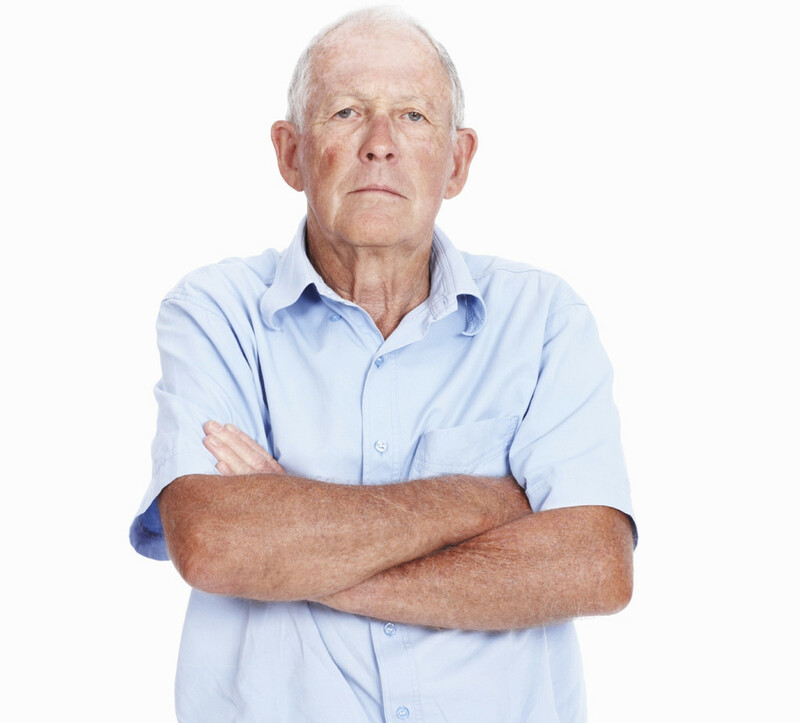 The goal of the research was not to identify whether certain individuals are "stubborn," but rather to understand differing perceptions of older parents and their adult children regarding such behavior. "The study researchers demonstrated that individual and relationship-based factors are linked to the perceived expression of stubbornness by parents and that there is discordance in perceptions within families." Translation of that is stubbornness is in the eye of the beholder. "Findings suggest a need for intervention to increase understanding." Dr. Zarit stated that, "Finding better ways to have a conversation (dialogue) is really important." The researchers found that stubborn behaviors are reported to have occurred in the past few months (of the study date) at least once, but usually more often for more than 90 percent of families interviewed." BrightStar Care's official comment is "wow," that seems very high. "Three-fourths of children and two-thirds of aging parents in the sample say that at least one of the behaviors -- insisting, resisting or persisting -- is happening sometimes." According to study interpretations, "The children in these families are not providing true caregiving support" (like we do at BrightStar Care Evanston), including high levels of support with daily activities or basic needs -- but rather the adult family members are providing everyday support to one another." If you're an adult child or family or wonderful friends challenged with the demands of daily caregiving for mom or pop, please be aware that we base our compassionate care on being there for you and people like you up and down the North Shore from E-Town to Skokie to Winnetka and communities in between. Part 2: "Good News: When Dad's Breaking Bad Here's What to Do"
Contact us online or call (847) 510-5750 today to find out how we can help you and your loved ones.